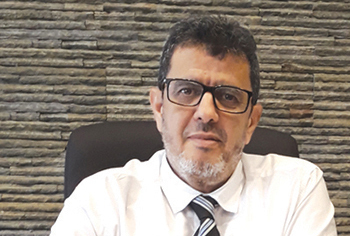 Construction Material Chemical Industries (CMCI) is looking to double its exports in the coming years and, towards this end, the Dammam-based construction chemicals specialist intends to launch a production facility in Bahrain shortly. General manager Jamal Amrhar said CMCI currently exports between 10 and 15 per cent of its total output and plans to increase this to 25 to 30 per cent in the coming years, with a focus on the Gulf countries and other parts of the Middle East. “We are on the constant lookout for international opportunities and are excited about building our business further,” Amrhar added. In its domestic market of Saudi Arabia, CMCI shifted its focus from mega industrial projects to housing, power, and maintenance projects, in a bid to reduce the impact of the uncertainty in the construction market over recent years. This strategy has allowed CMCI to minimise the effects of the market slowdown on its bottom line and diversify its growth portfolio until the construction sector rebounds – signs of which are now beginning to show, according to Amrhar. He said although some large contractors have withdrawn from the market due to financial difficulties, things are gradually picking up again and he believes the market is now moving towards stability. “In light of this, we have focused the majority of our efforts towards housing and power projects as the growing demand in both sectors suggest that upcoming projects are both necessary and inevitable. “We are also expecting Aramco to release new projects, and following the recent iKTVA initiative to support localised supply chains, we are eagerly anticipating opportunities that will arise in the years ahead,” said Amrhar. He believes the construction market has huge potential in the years ahead and CMCI is working on a strategy in anticipation of an upturn. “The recent increase in oil prices gives us the confidence that the market will grow and prosper. In addition, we are encouraged by the ambitious Vision 2030 reforms and the impact these will have on the industrial, power, construction, and oil and gas sectors. It shows that the country has a vision and we are aligning ourselves accordingly,” said Amrhar. CMCI was established in 1984 to meet the growing demand for construction chemicals in Saudi Arabia and the Gulf. It has since grown from a single production facility in Dammam’s First Industrial City to three production facilities at present. The company produces a wide range of construction chemicals that serve all building and construction projects requirements, starting from the foundation up to the finishing stages. CMCI attributes its success to the breakthrough technology used in its manufacturing process, procurement of the highest-quality raw materials, and adherence to the toughest quality control and quality assurance measures at its manufacturing facilities and testing laboratories. The firm serves some of the biggest companies in Saudi Arabia across various sectors, including the likes of Saudi Aramco, Saudi Basic Industries Corporation (Sabic), the Royal Commission of Jubail and Yanbu, and Saudi Electric Company (SEC). “Whether the project is a mega industrial project like Satorp or Sadara, or a refinery project like Jazan Refinery, our products have been developed to serve the most advanced companies and technologies across the country,” said Amrhar. “We also have experience in supplying key industrial complexes like Maaden’s Ras Al Khair facility, in addition to Sabic’s housing projects in Jubail, Dhahran, and Riyadh. Our well-established network within the construction sector has given us access to major builders such as CCC, Azmeel, Khonaini, Nesma, NCC, SSEM, Gussan, Sinopec, and China Harbour Engineering, to name few,” he added.